It's officially summer in the Philippines! What better way to celebrate the most-awaited season in the country than a trip to the beach? I know by this time you are searching for beaches near Manila and preparing for your itinerary. For a change, how about a waterpark by the beach? Weeks ago, I had a chance to visit the newly-opened waterpark in Subic, Olongapo called Adventure Beach Waterpark. I really feel so lucky to be one of the first batches of guests who were able to visit Adventure Waterpark grand opening in Subic! I wish though I live in Olongapo so that I can come here anytime I want! For those who are looking for a hotel to stay in Subic, you might want to check in at Camayan Beach Resort because you're automatically entitled to 30% discount and UNLIMITED access to Adventure Beach Waterpark as + Ocean Adventure as well! Adventure Beach Waterpark in Subic, Olongapo occupies 7, 442 square meters that a total of 700 guests at one time can occupy the place. Unlike other giant waterparks in the Philippines, Adventure Beach Waterpark is smaller but what I like about it is the fact that I don't need to sweat out a lot in order to go from one attraction to another. Everything is within reach, if not a few cartwheels away from each other. Also, this waterpark was built for families with smaller kids. 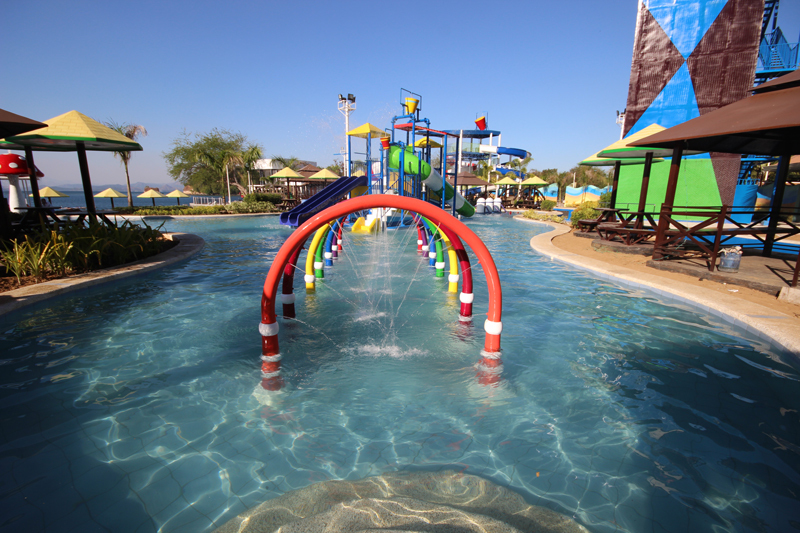 Every inch of Adventure Beach Waterpark in Subic, Olongapo is child-friendly. 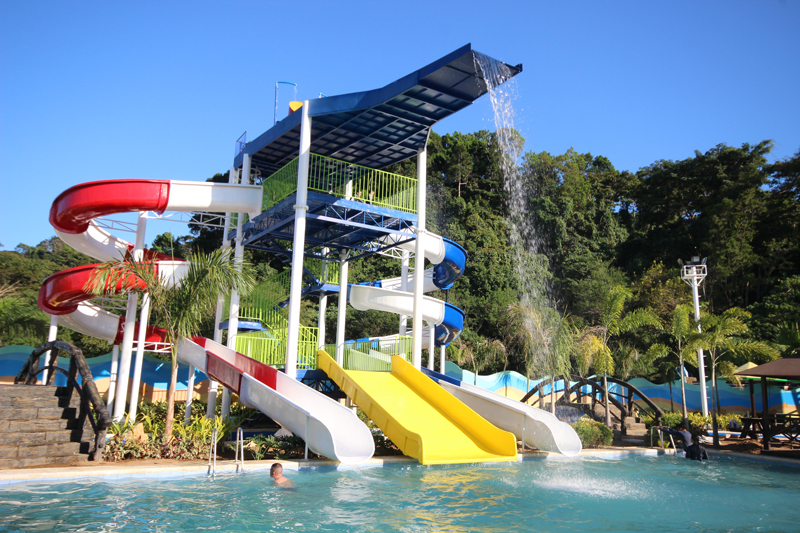 From the height of the water slides to the depth of the water in the swimming pools, you'll really feel that Adventure Beach Waterpark in Olongapo is a place where you can bring your whole family and not worry about any untoward incidences. Here's my vlog. PLEASE WATCH ON HD MODE. Adventure Beach Waterpark in Subic, Olongapo is a destination on its own. 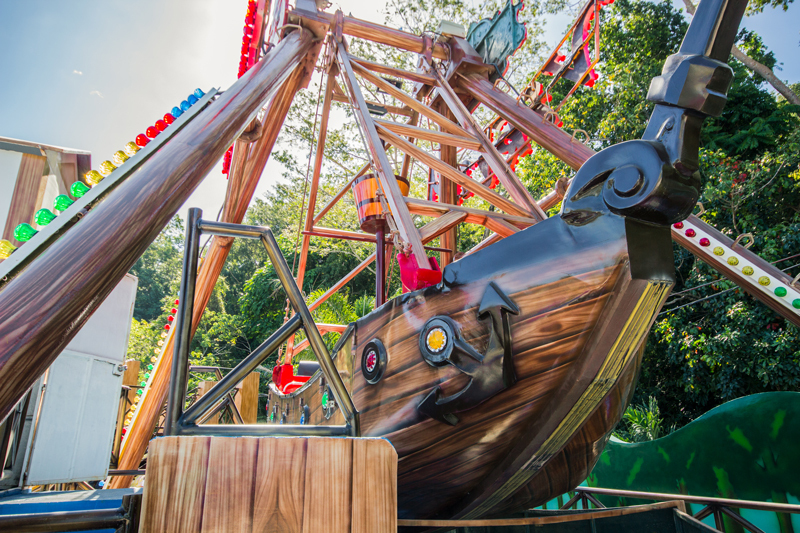 Designed to take the boredom out and keep you moving, it has 4 attractions that you have to try it all. Why? Because you're gonna pay a fixed admission price so why not enjoy as much as you can! This 3-story high tower is composed of twisting and turning slides for twice the thrill of course. For those who are afraid of heights, this is the chance to challenge yourself and face that fear! All you need to do is go up the ladder which automatically gives you the spectacular view of the Subic beach, mountains, and the nearby islands. After that, inhale and take a plunge. That's it! Easy right? Prepare to get wild and wet! This wading pool has some mini-attractions under its belt. One can channel her inner fairytale princess character at the Gushing Mushroom or dance under the colors of the rainbow at the Rainbow Falls. If you have more energy to shell out, you can splash up and down the Splashing Seesaw. For kids, there's a Kidz Playground that comes with its own straight slide, tube slides, and a spiral slide. 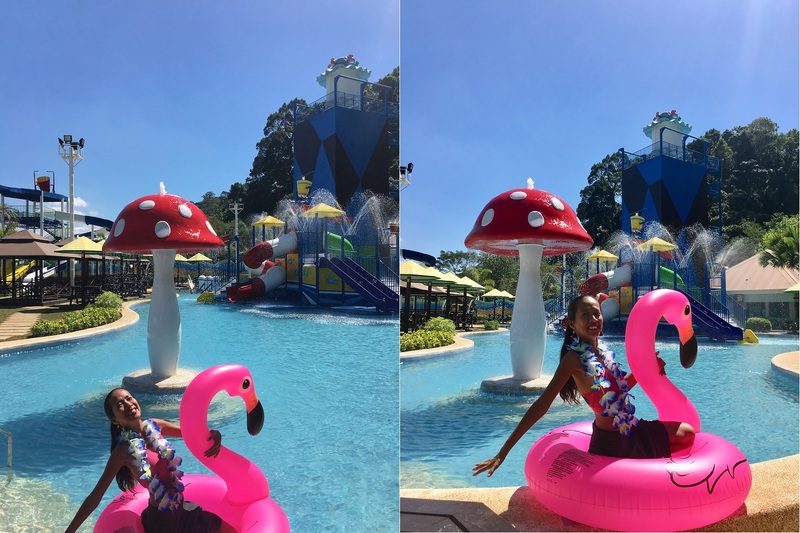 Tip: this is the most Instagrammable spot inside the waterpark so ready your prettiest swimwear! Let's have a quick trip back to the Spanish colonization period where humongous galleons used to sail from Manila to Acapulco and vice versa carrying precious goods for trading. Here, a group of 18 - 20 people can ride this thing while swinging from side to side at increasing speed. For those who have a thing about motion discomfort, you may need to take some precautionary medicine or keep on trying. The more you ride viking swings, the more you let your body and mind be immune to this kind of activity that may give you a dizzying effect. Again, it is all about facing your fear! I never had time to check this out because my full attention was in the Splash and Play thing! Situated in a cozy nook of Adventure Waterpark, this virtual oasis features a sprinkler system that acts like a rain falling from the sky. If you feel like singing under the rain, get here quick! I think this is the most colorful and the one where the crowd gathers together. It comes with seeaws, mushroom sprinklers and a mini water playground. This is part of the Splash and Play area. If going on a whitewater river rafting feels like a dream, here they have a thrilling ride that mimics down the rapids atop inflatables. You'll scream for sure but it is definitely very fun while you pass through manmade waterfalls and under the hanging bride. For those who would like to have their special events to be celebrated at Adventure Beach Waterpark, there's a pavilion that is spacious enough to give you the comfort while overlooking the beach nearby. This can accommodate up to 90 guests at one time. It is best to take Victory liner bus bound to Olongapo from Cubao terminal. Just make sure it is the one that will pass through via NLEX if not, it is going to be a roundtrip that will consume 5 hours! Victory liner offers FREE wifi so if you are like me who lives online, this is it.Take a jeepney ride to SM Olongapo then find the Golden Dragon Restaurant. There's a free shuttle waiting for you to bring you to either Camayan Beach or Ocean Adventure. operated by Subic Bay Marine Exploratorium Incorporated. Expect discounts and package deals if you want to pick all those in one trip. To read my Camayan Beach Resort review, click HERE. 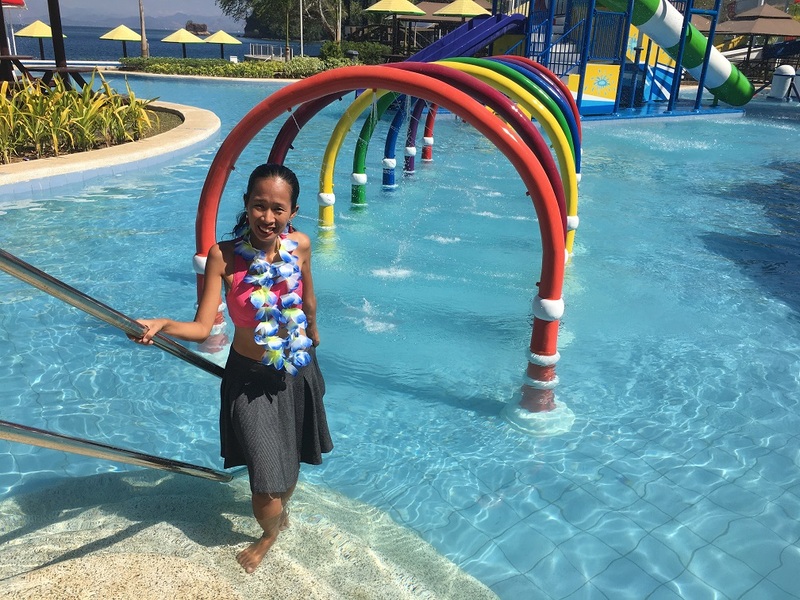 To read my Ocean Adventure Park Subic Bay review, click HERE. salamat sa info and pics you posted. very useful.